This post originated as an essay I wrote a few months ago for a competition. In 1888, George Eastman introduced the first camera under the new Kodak brand, using the new roll film system he invented three years earlier. In 1900, Eastman Kodak released its first consumer-oriented camera, named the Brownie. Effectively creating the first mass market for photography, Kodak became the dominant company in producing and selling photographic film for the 20th Century, challenged at times only by Fujifilm. In 1975 they created the first digital camera prototype and then the first megapixel sensor in 1986. The company had remained one of the ‘Dow Jones Industrial Average companies’ from July 1930 until 2004. Despite this apparent exponential growth and progress in photography, Kodak filed for Chapter 11 bankruptcy on January 19th 2012, and closed its digital camera division a month later. What had gone wrong for the dominant company that created the household phrase ‘Kodak moment’ to fade into insignificance? I have used the frameworks described by Clayton M. Christensen in his book The Innovator’s Dilemma, to answer this question. The faltering of Kodak becomes even more bewildering given the string of market-leading technological advancements and apt business decisions it had made in its lifetime. The Brownie camera, launched in 1900 was sold on a ‘razor and blades’ business model. The camera itself was sold almost at a loss for just $1 (about $26 adjusted for inflation), in order to increase the sales of the complementary good, the film, which generated the high profit margins. While the camera was bought once and so a high price could deter customers, the film had to be bought several times in order to take more pictures. This created a continuous revenue stream for Kodak through repeat purchasing. The early entry of Kodak into the consumer photography market enabled it to build a monopoly in film, preventing competitors from undercutting Kodak’s film prices. Through early entry into the market, in this case by creating it, Kodak was able to build a loyal user base and a value network. A value network is a group of customers who demand the same specific needs from a product, and so present a hierarchy of product attributes that are important to them. For professional photographers for example, a high quality lens may be most important. In order for Kodak to keep the customers of a value network, they had to deliver new products that better met the needs of those customers. The innovations these new products would incorporate are called sustaining innovations. These new technologies allow improved product performance of established products in order to satisfy customers of their value network. One example could be an improvement in the lens quality without a change in size. Kodak performed excellently by this system, improving their cameras’ technologies and ease of use year on year and releasing new products to meet the needs of their value networks, such as the 1957 automatic version of the Brownie, called the Starmatic, and the 1963 point-and-shoot Instamatic camera, targeted at consumers. Fundamentally, these products were all based around the same analogue image recording technology. It would be the invention of the digital camera, using a whole new image recording system, which would upset Kodak’s dominance in the industry. As early as 1975, long before they first appeared on the market, the electrical engineer Steven Sasson created a working model of a digital camera, using the same CCD (Charge-Coupled Device) to record an image in digital signals as is used in today’s cameras. Had Kodak brought the new technology to market as early as possible, they would almost certainly still hold the dominant position in today’s camera markets. So why didn’t they? Steven Sasson’s digital camera was the size of a toaster, and the monochrome images it produced after 23 seconds of hitting the button were terrible quality by today’s standards. The megapixel sensor was not to be pioneered until eleven years later. While Sasson’s system had a resolution of 0.01 megapixels, many modern consumer cameras have 10 or more megapixels. The comparatively huge size and flaky image quality must have made Kodak’s executives recoil in horror, knowing that those specifications would make the camera unsuitable for any of Kodak’s consumers within their value networks. The firm having grown substantially by the seventies, dedicating scarce resources to the development and marketing of this technology with far worse specifications than their current analogue camera ranges, which would in result not attract customers, would not generate the yearly profits Kodak required to grow. As a result, Kodak decided not to dedicate significant resources to the project, especially since the conversion to digital cameras would jeopardise their monopoly on film (a move they finally made when it was almost too late in January 2004). Most senior executives with more than 20 years of experience would agree that this was a decision made with astute managerial aptitude, and indeed it would have been a textbook case of good management during the time. However, as had happened with many other leading firms that had fallen from their dominance in a particular industry, this good management made Kodak miss a vital concept that would lead to its failure. The digital camera technology was not a sustaining innovation as Kodak had dealt with before and for which they had developed a good process to bring these innovations to their customers. 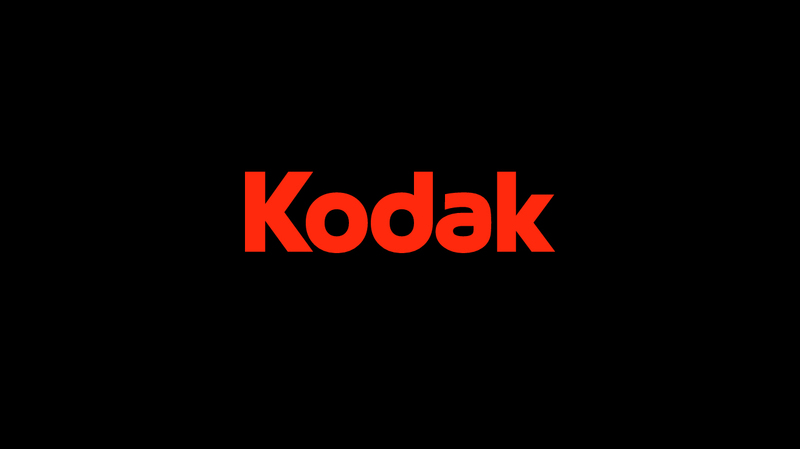 The digital technology underperformed Kodak’s established products rather than ameliorate them, so it did not meet the needs of Kodak’s current value networks. Rather, digital technology was a disruptive innovation. While it did not have the features that Kodak’s value networks demanded, it had a few fringe features that customers outside Kodak’s value networks did value. While it was not foreseeable at the time, digital technology would make cameras cheaper, smaller easier and more convenient to use. It presented a different value proposition than had been previously available. The past century has demonstrated to businesses in technological markets that the rate of progression of technology can often surpass the rate of changes in market demand. What this implies, is that the digital camera that did not seem valuable to anyone at the time due to its low specifications, would soon become performance-competitive with the analogue cameras. Worse still, the faster pace of technological change in comparison to the needs of customers, means that the digital camera would eventually meet the demands of the value network it initially failed. While the resolution of digital cameras in the 1990s was unsuitable for professionals, nearly all professionals today will use a high-resolution digital camera alongside image editing software. However, even if this technological progress was imminent and even if there were customers who would value the features of the digital camera in its nascent state, Kodak would still have to find and build that market. Kodak having grown substantially by 1975, this would be less viable than is immediately supposed. Without even considering the political struggle in securing the funding for a project aimed at an unknown industry, pioneering these undefined, emerging markets would not fulfil Kodak’s near-term profit requirements. The heavy responsibility and accountability of the company’s executives to guarantee their company’s short-term growth meant that they could only finance projects that would guarantee the necessary profits. The undefined and emergent nature of the digital camera market would have little chance of convincing the executives to put their support behind it. Unsurprisingly, the digital camera received little funding from the company to develop and market and so Kodak was not first into the market. Instead, Fujifilm and Logitech introduced the first few real digital cameras in 1988 and 1990. Even as this move seemed reasonable at the time, it would later result in Kodak gaining a much smaller share of the digital camera market. A study carried out into the success rates of a selection of established and entrant firms when attempting to enter or create their own value network with a new disruptive disk drive technology revealed that the companies that entered the new value networks within the first two years of the new drives appearing were six times more likely to succeed with the product than those companies that entered later. What this meant for Kodak was that their late entry into the digital camera market would put them at an immediate disadvantage to the competition. What makes this decision not to invest in the new technology more surprising is that Kodak had been in a very similar situation several decades earlier when they introduced the Brownie camera in 1900. At the beginning of the 20th century, compact film cameras were a luxury, but Kodak’s cheap camera, using the disruptive technology of roll film, created the market for consumer cameras in which Kodak was the market leader. Still, how would it make sense if Kodak’s executives invested in the emerging, low-profit market? The same study mentioned above revealed that firms that sought yearly growth by entering small, emerging markets earned twenty times the revenues of the firms adhering to the executive strategy of entering larger markets. While a brisk entry into the digital camera industry wouldn’t have given Kodak large profits in the short run, it would have possibly allowed the company to remain the market leader in today’s digital camera market, and grant it access to the growing camera phone market. In order to secure future profits, it was vital that Kodak’s executives entered the fledgling digital camera market just when it seemed least attractive. Sony, which today is the third largest camera manufacturer, entered the market even before it really existed with the Mavica in August 1981. While it did not use the CCD technology pioneered by Kodak just 6 years earlier, it was one of the first through the door to the market. Kodak, a large company in search of highly profitable markets, kept its superior technology behind closed doors for 16 years waiting for a significant market to emerge. When the market was finally deemed large enough to invest in, they chose to introduce the Kodak DCS 100, a clunky but high-resolution camera (1.3 megapixels) in 1991. It was faulted in many ways. The camera itself was made by a rival company Nikon (which is now one of the top two manufacturers of digital cameras) and the digital system was contained in a heavy box carried by shoulder. While Sony aimed their camera at the large established consumer photographer group, Kodak aimed theirs at the photojournalism market. Fewer than a thousand units of Kodak’s camera were ever sold. This demonstrates an important point. Sony was a large company like Kodak, but chose to invest in the new digital camera market long before Kodak did, even after Kodak developed the leading technology. While Sony was able to build on the Mavica brand with a truly digital version in 1997, Kodak’s DCS line remained limited to professional SLR cameras, all based on designs by Kodak’s rivals Nikon and Canon. While both Kodak and Sony eventually created their own lines of digital cameras, it was Sony who first entered the market in earnest. Noticeably though Fujifilm and Logitech are not market leaders today despite launching the first true digital cameras. As is the bitter truth in all emerging markets, not every entrant is successful. There is one final factor I will discuss that I believe lead to Kodak’s failure. The first entrants to the digital camera market varied largely in form factor, technology and success. While the Sony, Fujifilm and Logitech entrants were not themselves hugely successful, they gave the companies an idea of what worked and what did not in the eyes of consumers. What did work could be further developed by the company and released as a new product. The first cameras to enter the digital market were ones of experimental nature. They were never intended as designs set in stone, and indeed some never became so. The companies, like Sony, who eventually succeeded in the digital camera market, did so following years of experimentation. The introductions of early digital cameras were separated by a few years as the right combination of technology and features was being established. Once this ideal set of attributes had been established, the companies could release a stream of successful products in quick succession, much as they do today. This sequence of stages is by no means exclusive to the digital camera market. The same two stages occurred in the emergence of the Personal Computer and other disruptive innovations. The ‘discovery stage’ and then the ‘planned release stage’ are governed by two very different approaches. While the planned stage involves closely planning and marketing a sustaining innovation to a market of known size and nature, the discovery stage involves an exploratory, flexible approach to the design and marketing of the disruptive innovation. During the discovery stage, the company does not know who the potential customers of the product are or in what volumes they will require the product. The plan of bringing a disruptive innovation to an emerging market should be one of learning and discovery rather than of stringent planning. Kodak’s structure and the processes it used to bring products to market were ones suited to managing the sustaining innovations it experienced in the past, such as improving the usability of their cameras. From the very beginning, its expertise had been in chemical-based photography, and had built a powerful monopoly on camera film since. Its executives were not prepared to place their reputations and positions on the line to invest heavily in a new disruptive technology that could severely harm business if the venture failed. They probably knew that the company was not capable of harnessing the technology due to their specialisation in chemical photography, and that an imminent failure on that scale could harm the integrity of the company. It is hardly surprising then, that Kodak chose to shun the disruptive technology and instead focus on maintaining the stream of sustaining innovations it had optimised its processes for since the introduction of Brownie. Kodak wanted to permanently stay in the ‘planned release stage’ in the market’s pole position, but its rivals did not. What could Kodak have done to fix the issues discussed above? The main issues faced by Kodak were twofold. Firstly, the processes it had created over the years were optimised for releasing products of sustaining technology, and it had created a monopoly of camera film based on that system. This comfortable market position made Kodak’s executives reluctant to take the risk in diverting substantial funding to invest in the new disruptive technology that could harm its business, at the same time believing that Kodak as a company was not up to developing such an innovation, and was in any case too large to risk doing so. The Innovator’s Dilemma detailed three potential solutions to these issues concerning company structure, and I have adapted them to Kodak’s situation. The first solution is that Kodak could have bought a different, smaller organisation whose processes and values closely matched the task of developing and marketing digital technology. This smaller company would have the right systems for bringing digital technologies to market and would have been small enough to be excited about developing the new technology. Some attempt was made with this strategy when they teamed up with Apple Computer to manufacture their design of a digital camera, called the QuickTake, in 1994. The first versions, the QuickTake 100 and 150, were designed by Apple but built by Kodak. At the time Apple was floundering somewhat in the computer industry, and its executives were searching around for new industries to enter. Apple’s engineering teams would have been excited by the prospect of developing a product based on disruptive technology, no matter what revenues it generated. As a separate company to Kodak, the QuickTake development team would have been free to develop the technology with whatever funding it needed, subject to Apple’s executives however, but not to Kodak’s. The venture did not generate significant profits and for the QuickTake 200 release in 1996, Apple chose Fujifilm to manufacture the camera. While Apple discontinued the QuickTake range in 1997, the popular camera manufacturers of today began to release their own products that came to dominate the market. Should Kodak have acquired its own company who could develop and market the technology using Kodak’s resources instead of Apple’s, it could have marketed a successful digital camera, which would have allowed the company to maintain its dominance. The second solution is that Kodak could have developed the processes within its company to develop and market the digital technology. While they had the right resources to build digital cameras, they did not have the right systems to make that happen. Given the reluctance of the executives to sacrifice the years of work that went into the film monopoly, this option was far less likely to come to fruition. The third solution, which could have worked very well for Kodak, would have been to take the staff and other resources that would have worked best to develop the new technology, and place them in a spinout organisation. This small team, independent from the normal resources allocation process (that would otherwise divert the funds back to film camera development) and free from the responsibility of generating significant revenues to meet the growth requirements, would have within in the right values for developing and marketing the digital camera. It would use the discovery-based approach to enter the market, observing what works and what doesn’t along the way. It would not become a project shunned to one side for want of using the resources for analogue camera development. By 2001 Kodak was losing $60 for every camera it sold, attempting to stamp out a war between the digital and film departments. Forcing these two groups with different values and visions to work alongside each other was bound to end in a quarrel. Creating a spinout organisation should not be considered a way for Kodak’s CEO to remove the disruptive threat from his agenda and concentrate on what they believe to be more important for the company. The CEO would be diligent to give the spinout organisation the resources it needed to succeed if they wanted Kodak to succeed in the long term. At the same time, it would be very important that the CEO didn’t let the spinout organisation spend vast amounts of money on the first attempt at entering the new market. Using the idea that the company doesn’t know who will want the product and in what quantities, they should spend careful amounts on each product release until they get the right formula and customers. Only at that point should they consider spending significant amounts on developing new releases. These three solutions may seem very logical and intuitive to the spectator observing the situation in hindsight. Even if these options were clearly explained to Kodak’s executives, they could not conceive a complete restructuring of a company that had established such deep-rooted processes and principles. The true dilemma of Kodak’s story is that while the establishment of these processes and values had given Kodak the reins to the whole camera industry for decades on end, it would be these very rigid processes that would spell the downfall of the company when it came to real change in the market. When film sales dropped significantly in 2001 the company finally changed course and made an all-out attack on the digital market. While its EasyShare line of cameras proved popular, it wasn’t long before cameras became commodities to be found in nearly every mobile phone. It wasn’t just a case of too little too late. Kodak’s executives did not envision the rate at which the market focus would shift to digital camera phones, and the low profit margins of the saturated digital camera market. Kodak would have had to do more than just change its product line to remain successful. As a company who had spent decades building a set of processes tailored to designing and marketing film cameras, it would take a whole new set of processes, even a whole new company, to remain successful in the fast-changing digital camera market. Bloomberg Businessweek. “Mistakes Made On The Road To Innovation.” Bloomberg Businessweek, November 26, 2006. Carew, Sinead. “Kodak to shutter camera business.” Reuters, February 10, 2012. Christensen, Clayton M. The Innovator’s Dilemma. Harvard Business Review Press, 1997. Digital-photography-tips.net. History of digital photography – consumer digital cameras. January 2008. http://www.digital-photography-tips.net/history-of-digital-photography-consumer-digitals.html (accessed August 16, 2012). Kodak. History of Kodak. http://www.kodak.com/ek/US/en/Our_Company/History_of_Kodak/Imaging-_the_basics.htm (accessed August 20, 2012). News, Cnet. The iCamera: A look back at Apple’s first digital camera. Matthew Fitzgerald. July 27, 2009. http://news.cnet.com/8301-17938_105-10296307-1.html. The Times of India. “Kodak: What led to bankruptcy.” The Times of India, January 22, 2012.